Tax free bonds have gained popularity among investors in the high tax bracket as interest earned from tax free bonds is exempt from income tax. In this article we will discuss about tax free bonds and see how they compare with fixed deposits in terms of post tax returns. These are long term infrastructure bonds issued mostly by public sector enterprises. The maturity of these bonds range from 10, 15 to 20 years. These bonds pay a fixed coupon rate (or interest rate). The (interest) income from these bonds is exempt from income tax. Retail investors can invest up to Rs 10 lakhs in tax free bonds. What is the difference between tax saving bonds and tax free bonds? Investors should note that there are crucial difference between tax saving bonds and tax free bonds. Tax saving bonds, which have been discontinued for the past few years, allowed investors to claim deduction on the principal or investment (up to Rs 20,000) under Section 80CCF of the Income Tax Act. On the other hand, the principal in tax free bonds is not eligible for deduction from taxable income. However, unlike tax saving bonds, interest income from tax free bonds are exempt from income tax. The current interest rates, also known as coupon rates, being offered to retail investors are 8.2 – 8.3% for the bonds maturing in 2027, 8.75% for the bonds maturing in 2028 - 2029 and 8.9 – 9% for the bonds maturing in 2033 - 2034. The interest on a tax free bond is paid on an annual basis through the tenure of the bond and credited directly to investor’s bank account. Cumulative interest option is not available in tax free bonds. Let us compare the coupon rates of the tax free bonds with fixed deposits offered by leading banks, both in Public Sector and Private Sectors. One should note that interest is compounded on a quarterly basis in the fixed deposits. Please see the table below for fixed interest rates offered by leading banks. At the first glance, the coupon rates seem to be lower than the fixed deposit rates offered by banks, and as such some less informed investors opt for fixed deposits over tax free bonds. But investors should remember that, the income from tax free bonds is exempt from income tax, whereas that from fixed deposit is taxable at the applicable income tax slab rate of the investor. Therefore, the effective post yield of the tax free bond is much higher compared to a fixed deposit. The table below shows the effective post tax yield from different tax free bonds and fixed deposits, for investors in various tax slabs. Clearly for investors in the higher tax bracket looking for regular income, investing in tax free bonds make more sense, as compared to fixed deposits. However, investors should be prepared to lock-in their capital for a period of at least 10 years. 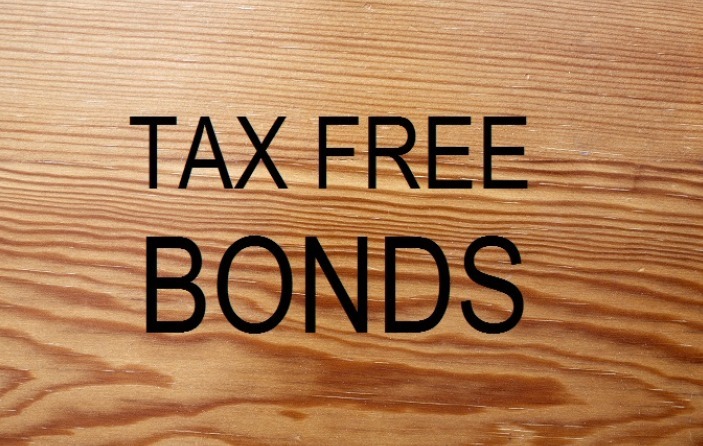 The tax free bonds are rated by credit rating agencies. Since tax free bonds are mostly issued by government backed companies, the credit risk is quite low. As such, most tax free bonds enjoy ‘AAA’ rating. Some recent issues, like Hudco, have been rated ‘AA+’. Should investors avoid bonds that do not enjoy an ‘AAA’ rating? It depends upon the coupon rate offered by the bond. Usually, bonds with a lower rating offer higher coupon rates. Investors should not give up the higher yield offered by a bond rated slightly lower. An ‘AA+’ rating also denotes high capital safety and the risk of principal non-repayment is very low. Investors should note that their yields will be slightly lower if they buy these bonds in the secondary market, because the market prices of the bonds are slightly higher than the face value. Investors should note that the coupon will be paid on the face value of the bond. For example, if you bought 20 bonds of the 891IIFCL34 issue in the primary market your investment will be Rs 20,000. Your annual coupon payment will be Rs 1,782. If you bought the 20 bonds of the same issue in the secondary market your annual coupon payment will still be Rs 1,782. However, your investment will be Rs 21,200. In that case your yield to maturity will be 8.44%. Even at the slightly lower yield it makes more sense to invest in the tax free bond compared to fixed deposit, if you are in the higher tax brackets (see the table showing the comparison of effective yields between tax free bonds and fixed deposits). From a tax perspective, the interest income from tax free bonds is tax exempt, irrespective of whether you bought it in the primary market or secondary market. As discussed earlier, tax free bonds are listed and traded on stock exchanges. Investors can sell their bonds in the stock exchange. However, since these bonds have very long maturities, they are not very liquid. Therefore, if investors do not intend to hold these bonds till maturity, they should pay attention to the trading volumes of these bonds and invest in the bonds that have higher volumes on the exchanges. Data on trading volumes are available on the websites of NSE and BSE. Investors should also be aware of the tax consequences arising out of capital gains if the bonds are not held till maturity. If investors sell their bond within a year, short term capital gain will apply. Short term capital gain is taxed at the applicable income tax slab rate of the investor. If the bonds are sold after one year, then long term capital gains tax will apply. Long terms capital gains tax is 10% without indexation and 20% with indexation. The current 10 year G-Sec yield is 8.7%. Historically, benchmark yield at 9% has been a good entry level for long term bond investors because rates usually soften from the 9% level. It may not happen immediately. RBI may keep rates unchanged in the next policy or maybe even increase it little bit. But we can certainly assume with a high degree of confidence, that the rates will not increase much from these high level. Over the next few years RBI will definitely have to soften the interest rates to revive growth in the GDP. Tax free bonds currently have yields at 8.5 – 9% even in the secondary market. Investors who want regular income can lock in these yields for the next 10, 15 or 20 years, even as the interest rates start coming down. Investors should consult with their financial planners, if tax free bonds are suitable investment options.